3.1" x 2.3" sticker. Material: Glossy Coated Vinyl. 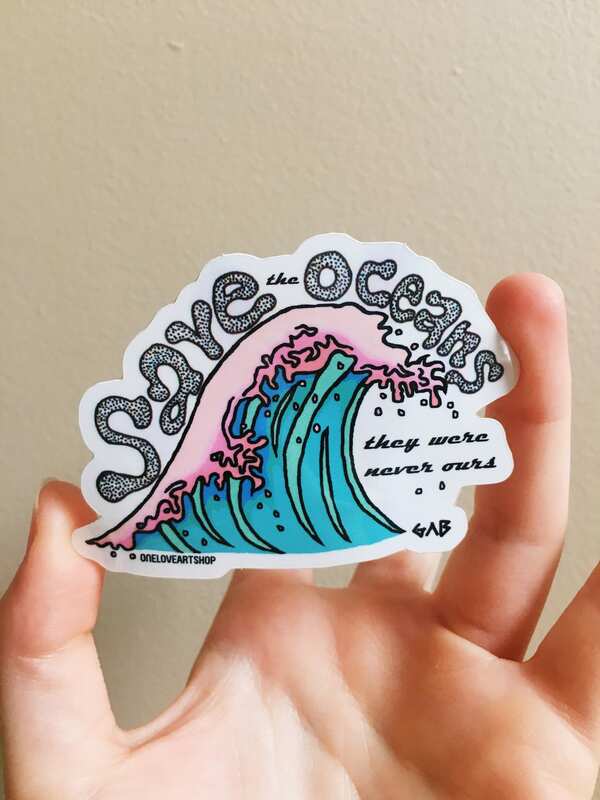 Reads "Save the Oceans they were never ours". Awesome for decoration on water bottles laptops, anything! Weather proof and glossy sticker finish! I absolutely love this sticker and the packaging it came in was super cute!